Keeping your showers short and the temperature on "warm" is very beneficial for dry skin syndrome. Do you have these symptoms year round or mostly during the winter months as this is quite typical, although warm weather can bring on its own set of symptoms. It's possible that you could also be experiencing low estrogen levels. Properly cleansing the skin is very important to helping the skin repair. First use our FACE & BODY MOISTURIZING WASH which is a "non-soap" cleanser and provides a gentle but thorough cleansing but does not strip the skin of it's natural PH. It will begin the repair process deep down that your skin needs. Next for all over body use, our MY DAUGHTER'S HAND & BODY THERACREAM on the dry skin areas and our DOUBLE STRENGTH THERACREAM for the severely flaky and cracked areas. Both of these creams have the amazing capability to penetrate the 7 layers of skin and unpack damaged cells, relieve itching and supply moisture and nutrients to repair and rebuild healthy, balanced skin. Remember, the body responds to health building ingredients! (Note that for International orders outside the USA, please place your order at our sister site at: www.aim2health.com). Please keep me posted on your progress Anna. Extreme Dry Skin and Scalp! I have this skin condition for over 5 years now and it has been given different names and equally different treatments. The treatments have left me with severely dry skin and scalp that flakes and peels. My palms are so sore from continuous peeling and I have lost sensitivity on some finger tip. Also, my face flakes, my lips crack and I have cuts in the corners, my ears, eyelids - in fact my entire body is a bundle of dryness and flakes and rash, sores and pain. Initially it started as severe itching all over my body and scalp and progressed to my groins with dryness. I traveled to India where it was diagnosed as Lichen Planus and I was placed on a steroid cream multivitamin. This quickly cleared the dark spots and rash only for them to reappear when I stopped the steroid cream - this time with increased itching and hair loss. I then traveled to the United States Of America where I met teams of Oncologists and Dermatologists and was started on UV light treatment for 7 months more dryness of skin and scalp set in with both palms and feet having painful cracks and bursting open coupled with difficulty in walking because the soles of my feet were now so cracked and painful. They moved me to chemotherapy in addition to Atarax to reduce the itching and strong steroid cream was being applied to my skin directly. Chemotherapy worsened my condition so it was stopped and for 8 months now I've been on strong steroid tablets(Prednisone) and cream. Now, I'm a bundle of dry body and scalp with intense flaking that makes a mess of my bed and room and I can't go out anymore and am back in my country still continuing the Prednisone and not knowing what else to do until I stumbled unto your website. Please tell me what to do. I can include photos if I know how. I strongly believe you're the answer to my dry skin. Please Help! Comments for Extreme Dry Skin and Scalp! 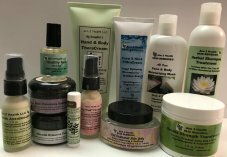 Response to: Extreme Dry Skin and Scalp! You have certainly been through so much these past 5 years via the medical field. You should know that continued use of topical steroid creams such as hydrocortisone cream can cause the skin to develop a resistance (called tachyplaxis) to the medication. As a result, in order to have the desired medical effect, a stronger and more potent steroid or hydrocortisone cream may be needed, which may cause even more potential side effects. These side effects include: thinning and discoloration of the skin, easy bruising, permanent dilation of certain blood vessels, burn marks on skin, itchiness, perioral dermatitis, liver and kidney damage and a weakened immune system. Not only this, but steroid use almost always produces a "rebound effect" of the very symptoms you are trying to get rid of! Atarax is used to treat allergic skin reactions such as hives or contact dermatitis. Atarax can cause side effects that may impair your thinking or reactions. Prednisone comes with a long list of possible side effects including anxiety, blurred vision, dizziness, irregular heartbeat, headache, irritability, numbness or tingling in the arms or legs, swelling of the fingers, hands, feet, or lower legs, trouble thinking, speaking, or walking. The first essential recommendation is to include "high nutrition" as well as omega 3 oils in your diet. Proper supplementation will help to build the immune system and fortify the body. Further, countless studies show that increasing the consumption of chlorella, spirulina and omega-3 oils improves conditions of dry, rough, red and scaly patches of skin experienced by so many. Next, know that a body overloaded with toxins (which includes medications) can result in a number of symptoms. It then becomes significantly important and is recommended to take in sufficient fiber and consider a safe means of colon cleansing. For your skin, first cleanse with our soothing Face & Body Wash which is suitable and recommended for face and body use. Next, for the facial area apply our Face & Neck TheraCream, for the body - apply our My Daughter's Hand & Body TheraCream and for the scalp, ears, feet, knees, elbows and palms apply our Double Strength TheraCream which is formulated for the thicker skin on the body. The scalp should be cleansed with our Herbal Shampoo Treatment. All of our products have the proper Ph value that the skin and scalp require for balance. Know that the skin truly responds to health building ingredients as does the body. Is it safe to use urea based cream for dry skin problems on a regular or daily basis ? Good question and the answer is a simple and resounding "yes" - it is very safe to use urea based cream for dry skin problems on a regular or daily basis! You see, urea is a compound naturally found in the human body and exists in every HEALTHY cell. Found in the surface layer of the skin (epidermis), urea plays a vital role in maintaining the skin's moisture balance and the suppleness of the skin. Urea has many different beneficial effects on the skin: it not only acts as an extraordinary therapeutic agent for skin disorders, but also attracts moisture to the skin while at the same time preventing water loss in the skin layers. I HAVE BEEN WEARING CLOSED LEATHER SHOES ALMOST EVERYDAY AND MY SKIN ON THE OUTER SIDE OF MY BIG LEFT TOE HAS BECOME EXTREMELY DRY ,ITCHY , FLAKY AND THIN. I HAVE APPLIED MANY ANTI FUNGAL CREAMS BUT THERE IS NO IMPROVEMENT. MY SKIN AROUND THE TOE DRIES UP VERY QUICKLY AND SOMETIMES ITCH. WHAT CAN I DO ABOUT THIS? I ALSO SEEM TO HAVE HAMMERTOE ONLY ON THIS LEG. Wearing closed shoes daily, especially in the harsh winter months, can hinder the skin from "breathing" properly. When little air time is provided the skin, and given the closeness of the enclosed shoes and socks, dry skin can form with deep cracks leaving room for bacterial or fungal infection. 1) Wash the affected area with our hypo-allergenic and gentle body wash which contains absolutely no chemicals or ingredients that can be toxic to the skin. Our FACE & BODY WASH will begin the repair process and cleanse the foot of environmental debris and bacteria. 3) Next, apply our DOUBLE STRENGTH THERACREAM to the entire toe area to unpack dry, hardened cells 7 layers deep as well as to add necessary moisture to your skin. This fast acting cream will help restore optimal balance as well as provide an anti bacterial, anti microbial and anti fungal protection. This "double the strength" formula was made for the thicker skin on the feet and contains plenty of vitamins and nutrients to fortify and protect your skin. Please keep me posted on your progress Mrs. R.
My feet are very very bad. They are so cracked that they split wide open on my heels and it hurts to walk on them. I can not stand to wear closed shoes so I always have opened toe and heel shoes on and I live in Florida. Please help me I want my feet to be nice and smooth and pretty again. My heels look like the feet on your web page but cracked wide open. I had extremely dry feet too. My heels were especially troublesome because of cracking. Whenever I would wear sandals or flip-flops my heels would crack and the pain lasted for days while they healed. I started applying your lotion with urea and noticed an immediate difference almost overnight. After about three days of applying the cream morning and night there was a VERY noticeable difference. Now I apply once daily. It has been about six weeks now and at 56 years of age my feet look like they did in my 20's. I am really thrilled with the results!! I completely understand your anguish and frustration as cracked feet can become unbearable. Considering the amount of time we are on our feet, it is critically important to treat dry, cracked symptoms as soon as they begin and to keep your feet in the best of condition. Here is what I highly recommend: Wash the affected area with our hypo-allergenic and gentle body wash which contains absolutely no chemicals or ingredients that can be toxic to the skin. Our FACE & BODY WASH will cleanse debris, old skin cells, and bacteria while adding moisture to your skin to begin the repair process. Next, apply our Double Stength TheraCream to the entire heel area to unpack dry, hardened cells 7 layers deep as well as to add necessary moisture to your skin. This "double the strength" formula was made for the thicker skin on the feet and can add abundant moisture as well as stop any itching you may also be experiencing. This is a fast working cream that contains plenty of vitamins and nutrients to fortify and protect your skin. Keeping this process in strong working order is very important. You will notice the deep crack in your heel begin to mend quickly as new , soft skin forms over. Please keep me posted as you begin your regimen Krista. My daughter has developed red patches with white spots on either side of her neck on the hair line. They are itchy at times and it doesn't look very nice. Thank you for contacting me about your daughter's skin condition. Since the red patches with the white spots are located on either side of her neck right on the hair line, she will need our double strength formula as this area of skin tends to be thicker. At night before bedtime, rub in our specially formulated therapeutic DOUBLE STRENGTH THERACREAM into the affected areas. This double strength formula is all natural and penetrates the thicker skin deeper and faster. It will relieve any itching she may be experiencing as it restores the skin to a healthy balance. A number of my clients have recognized that it was actually their shampoo that was causing a similar reaction on their neck and hairline. 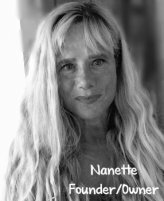 I must tell you Marie that 95% of the commercial shampoos on the market today contain irritants, harsh chemicals and toxins that cause the skin to break out, itch and form patches. I highly recommend using our HERBAL SHAMPOO TREATMENT as this is loaded with all natural ingredients and will restore and maintain the natural PH balance of the scalp and hair. Please keep me posted on your daughter's progress and be sure to contact me with any other questions you may have Marie. I hand wash my dishes all the time and I have been noticing that one by one, the nails on my fingers are getting very noticeable vertical (some raised) lines. (Nails are natural color, and normal thickness). I do not use nail polish or hand creams and my diet is fairly decent nutrition-wise. Could it be I'm having my hands in water too much? Is there any alternative dish washing soap I can use? I dislike wearing gloves. What you should know is that dish soap, like most soaps and shampoos on the market, contain dangerous chemicals including sodium lauryl sulfate, SD alcohol, fragrance, ammonia and DMDM and dyes. The sodium lauryl sulfate (and its various forms) found in our soaps is exactly the same as you would find in a car wash or even a garage, where it is used to degrease car engines. In the same way as it dissolves the grease on car engines, sodium lauryl sulfate also dissolves the oils on your skin, which can cause a drying effect. It is also well documented that it denatures skin proteins, which causes not only irritation, but also allows environmental contaminants easier access to the lower, sensitive layers of the skin. DMDM is a preservative that releases formaldehyde, (formaldehyde based solutions are used in embalming to disinfect and temporarily preserve human remains pending final disposition), triggering skin irritations and even heart palpitations. Ammonia and SD alcohol are harsh and drastically dry out the skin and nails. Fragrance and dyes are synthetic ingredients that can cause allergic reactions. Fran, you will certainly want to do an internet search to find a natural dish washing soap since you do much dish washing and your skin is exposed to soap and water constantly. I further, highly recommend the following to you to restore and preserve your nails and hands. Use our MY DAUGHTER'S HAND & BODY THERACREAM to be applied a minimum of twice daily. Because your hands are constantly being used to wash dishes, you will want to apply a small dab on each nail several more times a day until your nails are totally healed over. This thick and rich cream is hypo-allergenic and filled with wholesome ingredients will help keep your nails and hands healthy as well as add a protective layer to your nails and skin and restore much needed moisture. You may also want to consider using our FACE & BODY MOISTURIZING WASH which will not deplete the PH of the nails and skin as most soaps and cleansers do but will begin the healing process and add much needed moisture to the 7 skin layers. Please keep me posted on your progress Fran. During the day, my face will turn red, feel extremely hot, like I've washed my face in acid! It goes away for a couple of hours, then does it all over again. Does this sound like dry skin? Or do I need to find a doctor about my problem? In order to help you I would need the answers to a few questions. When your face turns red, does it break out in hives or an itchy rash at all? Do you notice this happening after eating a certain food or drinking a certain beverage? Are you on any type of medications - new or old? How are your menstrual cycles and do you notice any other symptoms when your face gets red and hot? Are you under a lot of stress? You see, it could be any number of possibilities causing your symptoms and without sufficient information, I will not be able to accurately make any recommendations. Please get back to me Kelly, if you would, with the above information and I would love to help. My skin is very dry and rough to the feel and I am also breaking out on my cheek area. I am so depressed about my skin right now. Can you help and recommend something for me to use to get moisture back in my skin. I will greatly appreciate it. You are not alone! Most women experience extremely dry and irritated skin and even break outs from using cosmetic products. But please don't be depressed because you are in the right direction seeking natural products to help restore the health, balance and moisture to your skin. For the face area Gee-Gee, I would highly recommend our FACE & NECK THERACREAM which has 10% urea which is all this delicate skin area needs. It will penetrate the 7 layers of skin and begin to remove any dry, damaged cells that were caused by the harsh ingredients found in most make up products. Our FACE & NECK THERACREAM will fill these layers with much needed moisture and provide a strong layer of protection to your skin. At night, I recommend washing your make up as well as any environmental debris with our FACE & BODY WASH. This will cleanse and remove grime and dead cells and begin the much needed moisturization process. You will find that these two products provide just the right ingredients necessary to bring your skin back to the proper PH and tons of moisture for healthy skin that is smooth and clear. Please keep me posted as to your progress as you begin your new regimen Gee-Gee. What is the name your cream for heel crack? Thank you for contacting me with your question. For dry cracked heels you will want to use our DOUBLE STRENGTH THERACREAM which is specially formulated for the thicker skin on the feet. The skin on the bottom of the feet is much thicker and harder to penetrate than other areas of the body. This formula quickly penetrates the 7 layers of skin on the feet to rapidly repair and restore the skin and remove the dried up dead skin cells from deep within the skin structure. Please feel free to contact me with any other questions you may have Vijay. My heels are cracked on the side and often become painful. The bottom of my feet are dry and the space between my toes sometimes becomes red and itchy. 1) Wash the affected area with our FACE & BODY WASH which is a hypo-allergenic and gentle body wash which contains absolutely no chemicals or ingredients that can be toxic to the skin. This will deeply cleanse and begin the repair process as well as remove environmental debris and bacteria. 3) Next, apply our DOUBLE STRENGTH THERACREAM which is specially formulated for the thicker skin on the feet. The skin on the bottom of the feet is much thicker and harder to penetrate than other areas of the body. This formula has anti bacterial properties and quickly penetrates the 7 layers of skin on the feet to rapidly repair and restore the skin and remove the dried up dead skin cells from deep within the skin structure. It will also stop the itching and reduce the redness as the skin is restored to a healthy balance. My problem is that I can't seem to shift the dry, flaky,irritable skin. Do you have anything that may be suitable that can work as I'm now becoming very stressed and worried about it. Thank you for contacting me with your question. First, you should know that continued use of topical steroid creams can cause the skin to develop a resistance (called tachyplaxis) to the medication. As a result, in order to have the desired medical effect, a stronger and more potent steroid may be needed, which may cause health damaging side effects. Specifically, long-term continuous topical therapy of Betnovate, which for our website viewers is an active topical corticosteroid, should be avoided as adrenal suppression can occur. Five days is the maximum period of use for such a strong steroid....so yes, ouch!! to the three months you had been using it! I have to say Damian, as wonderful as the herbal baths and oils you are using are, they will not penetrate the 7 layers of your dry, irritated and flaky skin. When skin is dry it needs moisture and not oil along with a very specific ingredient called urea which is contained in all of our products. Urea causes dry skin cells to "unpack" and expose their water binding sites, thereby enabling the cell to absorb and retain additional moisture while at the same time preventing water loss in the skin layers. If the skin is very dry and scaly, a large amount of the cream is taken up by the horny layer in order to restore needed moisture and bring back the skin's balance in disposing of dead cells and replacing them with new and healthy vibrant skin. We have placed our urea in a thick and rich cream with high levels of natural, health building ingredients which is what makes our products work so fast and effectively. My recommendations for you are two of our skin repairing and health building products. First, wash with our FACE & BODY MOISTURIZING WASH as this will begin the moisturizing and repair process for your skin. Next, apply our HAND & BODY THERACREAM all over your skin. This hard working cream stops itching immediately, has anti-bacterial and anti-inflammatory properties and penetrates the 7 layers of skin to unpack dry damaged cells and restore much needed moisture bringing a healthy balance back to your skin. Please keep me posted on your progress Damian and let me know if you have any other questions. The heels of my feet are hard, cracked, and right now so sore to even walk..... I need to know where to purchase that thick 7 layers of penetration cream? I need to start something to give me soft beautiful feet again..... Thank you. You can purchase our DOUBLE STRENGTH THERACREM right here on this website. Simply click on the second button down on the Navigational Bar to the left of this page....the tab reads, "Our Products". Begin using this fast acting cream as soon as you can to restore your heals and to make walking a pleasure again. I read with interest your column, and I was wondering about the treatment for a deep crack on my heel. I was going to set up an appointment with a dermatologist but I am interested in what you have to say. I have been attending aqua fit at a gym for 5 years -3 times a week. I am wondering if that could be the cause of my problem too. Thank you for contacting me with your question. So many things that we do in a day or week can impact our lives in various ways. I commend you for attending the aqua fit class at your gym on such a consistent basis as this is quite health building and strengthening to your body. Yet, in all likelihood, the crack on your foot has either been caused or exacerbated by the chlorine water you exercise in. Chlorine is quite drying and of course is a chemical that is antagonistic to the skin. Here are 2 things I would recommend you follow to not only repair the deep crack on your heel but also to keep it from re-occurring as you continue your water aerobics. 3) Next, apply our Double Stength TheraCream to the entire heel area to unpack dry, hardened cells 7 layers deep as well as to add necessary moisture to your skin. This "double the strength" formula was made for the thicker skin on the feet and can add abundant moisture as well as stop any itching you may also be experiencing. This is a fast working cream that contains plenty of vitamins and nutrients to fortify and protect your skin. Keeping this process in strong working order is very important. You will notice the deep crack in your heel begin to mend quickly as new , soft skin forms over. After two years of suffering and trying every organic/natural remedy that was recommended, in less than one week of using your Face & Body Wash and My Daughter's Hand & Body TheraCream my skin is nearly completely healed. I think I contracted ringworm or that I have had some other fungal skin problem (in my midriff area and under my large breasts). I am very grateful and will be ordering your Face & Neck TheraCream next as a birthday present to myself soon. Thanks and bless you so for your gift to us. I have very dry skin and also very itchy skin on my neck, underarms, breast and little bit on my stomach. I have tried many lotions and creams over the counter and nothing works! Please let me know where I can buy your products and what you recommend. Thank you and I will share my results when I stop itching. Dry, itchy skin can really make anyone uncomfortable and many people, like you, have tried product after product with NO RESULTS! For itchy skin: Wash with our hypo-allergenic, chemical free cleanser, FACE & BODY WASH, which will quickly add much needed moisture to your skin and begin the restorative process. Next, apply our HAND & BODY THERACREAM which will penetrate the skin 7 layers deep and add abundant moisture as well as stop the itching and contains plenty of vitamins and nutrients to repair, fortify and protect your skin. You can apply it everywhere you have dry, itchy skin - on your neck, underarms, breast and stomach. These products will stop the itching and replace much needed moisture as they repair the skin and bring it back to a healthy balance. You can purchase these two product right here on this website. Simply go to the top of the Navigation Bar to the left of this page and click on the button that reads, "Our Products". Please keep me posted on your progress Kanan. Thank you for contacting me with your question. For your daughter's rough hands I would highly recommend using our HAND & BODY THERACREAM which contains 10% urea and applying it in the morning and at night and any time you wash her hands. Once her skin has repaired you need only apply it as needed. I would also recommend washing her hands with our very gentle and healing FACE & BODY WASH (which contains 5% urea) as it will not only cleanse her skin but begin adding the much needed moisture. You see, 95% of the soaps on the market contain harsh chemicals and drying alcohol that worsens many skin conditions. Further, you mentioned Carmol 40% and although urea cream is fantastic for repairing dry, rough skin any where on the body, you should know that not all urea creams are the same. Most companies include ingredients that are harmful and toxic to the skin so that these creams do not end up working. Here is what Carmol 40% puts in their product: Purified Water, Urea, Isopropyl Myristate, Isopropyl Palmitate, Stearic Acid, Propylene Glycol, Trolamine, Sodium Laureth Sulfate, Carbomer, Xanthan Gum, Fragrance. They include Sodium Laureth Sulfate that has cancer causing properties and fragrance which causes allergic reactions. This is not what our skin needs! As far as helping your facial skin recover from acne scarring and regain a more healthy and even texture, I would using the FACE & BODY WASH to gently cleanse away debris and any excess oils mixed with dead cells and then apply our FACE & NECK THERACREAM twice daily. This will help your skin to repair and rejuvenate 7 layers deep thus restoring balance to your skin and a more even skin tone. We've had many customers do this simple treatment for their face and neck areas. Please let me know if you have any other questions and I would love to know of your daughter's progress as well as your own. I was born with club feet and I am 56 years old and my left foot in particular is the one that bothers me sometimes to the point that I can't even walk it hurts so bad. I usually cut a lot of the dry skin off with a razor and then sand the rest with an emery board. I have had this problem most of my life but now that I am older it bothers me more and more. What can be done about this? Can you give me some advice? As a child i was cared for at Children's Hospital in New Mexico. Let me say for the benefit of our website viewers, that being born with club feet can present the problem of producing mild to severe calluses which is a condition when a thickening of the skin surface layer develops as a result of the response of our body system to the pressure applied to the soles of our feet when walking. It can certainly be challenging when dry, hardened skin on the soles of the feet continuously accumulates making walking very difficult and painful. As you have experienced, cutting off the top layer and sanding the hard skin can only offer a weak and temporary type of relief. In order to get to the root of these calluses, you must reach down past the callus to the 7 layers of skin. Here is what I highly recommend to you to restore the soles of your feet and to prevent further callus build up. 1) First, wash with our FACE & BODY WASH which is a non-soap anti-bacterial cleanser to cleanse away skin bacteria. When your feet are clean you will do much to keep harmful germs that may potentially cause infections! 2) Then apply our DOUBLE STRENGTH THERACREAM which is a highly therapeutic cream which has the capability to penetrate the hardened, dry skin on the soles of your feet as well as the 7 layers of skin to unpack the dry cells, lift them upwards and replace much needed moisture. This cream has anti-bacterial, anti-microbial and anti-fungal properties to protect your feet all day long. My suggestion is to apply twice daily until the calluses are gone and then once daily for maintenance and protection. Please keep me posted on your progress Rose. I am a student taking a Pharmacy Technician course and today one of our compounds was 10% Urea with menthol 1/2% in cream base. My question is what is it used for? Urea is very beneficial for oily, acne prone skin and rashes and here's why. An all natural, urea based cream helps to unpack sticky, damaged cells, excess oil, trapped dead cells and debris 7 layers deep. It relieves inflammation and redness from rashes as well as provides anti itch properties and anti bacterial protection. Further, urea is a strong ?humectant? and actually binds water below the surface of the epidermis, right down to the stratus corneum. This is the skin building layer allowing your sensitive skin to unpack damaged cells and repair from ?the bottom up?. Can I use cream with 10% urea if I have oily and acne-prone skin? My dermatologist recommended it when I developed rashes on my skin. Thank you. Although we do not use menthol in any of our creams we do use urea throughout all of our creams, shampoos and washes and for very good reasons. Much of the reasons are contained in our website but I will list them here for you. Urea has an antipruritic (anti-itching) effect that has a very rapid effect on problematic red itchy skin rashes and even the common mosquito bite. A large number of studies have confirmed the beneficial effect of urea creams for many of the skin problems people face today. Evidence shows that urea cream is useful for all degrees of dry skin. Urea is much more than just a moisturizer because unlike other creams and lotions, it has many different beneficial effects on the skin: it not only acts as an extraordinary therapeutic agent for skin disorders, but also attracts moisture to the skin while at the same time preventing water loss in the skin layers. This is great information that is documented extensively....please feel free to use it for your own studies and pass it on too! Thanks for the post! Great information. Thanks so much for your comment! We believe in providing a wealth of helpful information about the conditions featured in this website so that our visitors can make informed decisions and choices. No More Rash Or Flaky Skin! Hi - Ive been using your cream I bought for about a month now and my skin is so much better. No rash or flaky skin! Even with the harsh climate here your creams are working great! I plan on buying the other products you suggested and once again, thanks very much for making such an awesome product. I will definitely keep buying it in the future. Many thanks! I have a big problem with my right foot. I have a big crack in the skin on the bottom of my big toe. It does not bleed but it hurts when I walk. What can I do to fix this problem? First I will explain that cracks and fissures are breaks or splits in the skin. When these occur on the foot, it can happen on either the heel or at the base of a toe. Both occurrences make walking quite painful. You spoke of having a big crack on the bottom of your big toe. Cracks and fissures on the toe may be the result of skin that is either too dry to too moist. When skin is too dry, it can become rough and flaky and when skin is too moist, you may get a bacterial or fungal infection. Both instances can cause cracks between or at the base of the toes. Your skin is a complex organ that requires the right amount of moisture to stay healthy and it can be hard to achieve the right balance of moisture in your feet. You see, cracks may widen, becoming deep fissures. These fissures may not be able to heal on their own. Further, cracks and fissures leave your foot open to infection. * Always dry between your toes after bathing. * Choose cotton socks instead of nylon. * Choose well-fitting canvas or leather shoes that allow skin to breathe. Avoid synthetic shoes that trap moisture. And always wear shoes with socks, even at home. 3) Next, apply our DOUBLE STRENGTH THERACREAM to the entire toe area to unpack dry, hardened cells 7 layers deep as well as to add necessary moisture to your skin. If your toe problem is from too much moisture, this amazing cream will help restore optimal balance as well as provide an anti bacterial, anti microbial and anti fungal protection. This "double the strength" formula was made for the thicker skin on the feet and is a fast working cream that contains plenty of vitamins and nutrients to fortify and protect your skin. I have dark dry skin. How can I make my skin smooth and glowing? Please suggest to me tips for getting my skin to a natural fairness. There can be many reasons for you to be experiencing dry skin symptoms which for many people, like yourself, can be problematic. I would highly recommend first cleansing with nothing but our All Over Face & Body Wash and follow this by an application of our My Daughter's Hand & Body TheraCream for the body area and our Face & Neck TheraCream for the facial area twice daily. You see, it is very important to use a cleansing product that has the proper pH so that it works with your skin and not against it such as does the soaps on the market that actually destroy the natural acid mantle on the skin. Then, applying the wonderful health building ingredients contained in our products will add much needed moisture to all the layers of your skin for that soft, supple, healthy skin we all want. Please keep me posted on your progress Priyanaka. I have colourless patches of very dry raised skin, about half an inch or more, on my back and front - not the usual places for SD. They do not itch. I have had them quite a few years. Sometimes I can scratch the tops off but no further. They bother me because they should no be there, and am I lacking in some diet. They spread slowly. First, I would not recommend scratching the tops of your dry, raised patches as they might cause some of the spreading you mentioned. Next I would recommend cleansing with our All Over Face & Body Wash followed by an application of our Double Strength TheraCream twice daily. Our products help lift up dry damaged skin and provide much needed moisture to bring about balance and healthier skin. Internally I would highly recommend our Green PowerHouse Plus as this contains an amazing array of vitamins and nutrients to feed your body. Remember that consistency and patience will bring about very good results. Please keep me posted on your progress Marj.